It’s almost an afterthought, whilst Netflixing and chilling, binge watching and stalking show releases, that, at one point, Blockbuster, VHS and boop tubes were once must-haves when consuming content. Netflix is such a staple in our everyday lives that the streaming platform has become far bigger than itself. A representation of a new era. Although other streaming platforms, like Prime Video Users (Amazon Prime), Hulu (SVOD), HBO Now and others, have come to life in response, Netflix has remained king among streaming services. It all started back in Jan. when Netflix announced its largest rise in subscription fees yet. Fees rose to $13 ($12.99) a month from the previous cost of $11. Now, they face their biggest competitor yet. 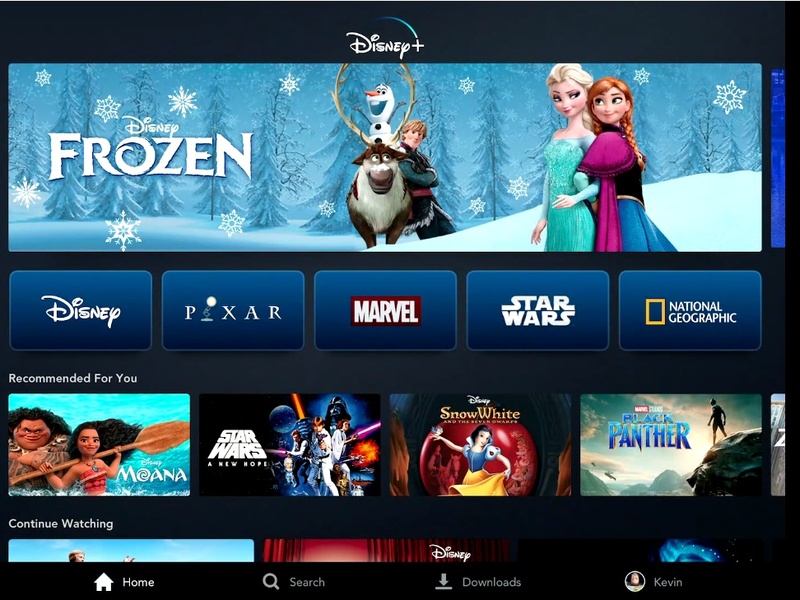 Yesterday, Disney announced at the company’s investor day that their new streaming service, Disney+, will be available starting on Nov. 12 for $6.99 per month or $69 per year. Attendees of the presentation were able to see a teaser of the service as well as catch some of its forthcoming projects, which is as big a news as the service itself. Now that Disney owns 21st Century Fox, thanks to a fairly recent acquisition, the company now has the all-out rights to all its various franchises. This includes Pixar, Star Wars, and Marvel, as well as National Geographic. According to the company, they expect to spend about $1 billion in 2020 on original content for the platform and $2 billion by 2024. They also forecast having between 60 million and 90 million subscribers by the end of 2024. One-third of those subscribers will be domestic and two-thirds will be international, the company said. So, is this the end of Netflix? Is Disney+ an appealing package? I mean, the Marvel superhero series is huge. That has to be a draw, right? Well, if the stock market is any indication it’s sayonara! CNBC reported that Disney’s stock surged as high as 12 percent on Friday, on pace for its best day since May 2009, while Netflix shares fell on Friday. And people are digging it, too. It’s still a tough call to tell whether people will sign up for an entirely new streaming platform or delete an old one. Netflix is the unofficial default for many. Besides, when Disney’s content is pulled from Netflix, Avengers: Infinity War won’t leave until 2020. Additionally, there are only 20 Disney-branded titles that are currently listed for removal from an expansive catalog that covers years of content. So, technically they won’t be missing much in the grand scheme things. Disney officials say they’ll continue to release major motion pictures to theaters ahead of their appearance on the streaming service. Also, the company added that all content will be downloadable so that it can be watched offline.